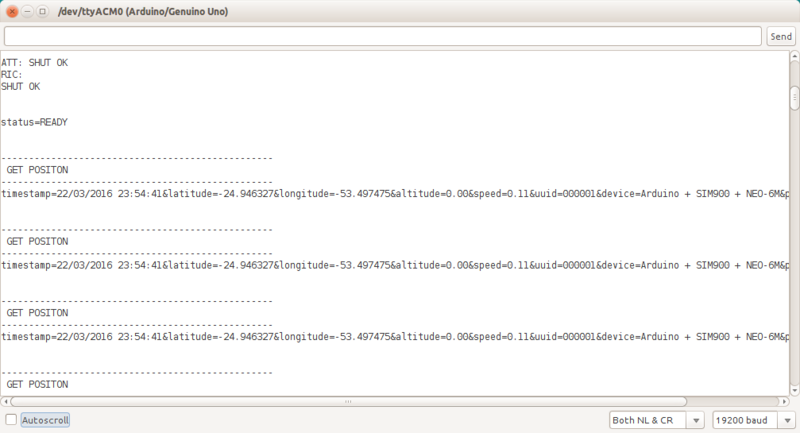 I'm trying to get GPS coordinates and send them to my API through the GPRS SIM900 and GPS NEO-6M shields. In setup(), I first start the GPRS shield and call the function that connects to the internet. Then in loop(), I start to capture GPS coordinates and finally I send to my API, but my code doesn't work with this logic. I'd like to connect once and get GPS coordinates and send them to the API many times making a tracking. The app stops if I run the code. connectToInternet() in setup() and getGpsPosition() in loop(). The SIM900 shield connects but the NEO6-M shield does not display the coordinates. The GPS only captures the coordinates if I do not connect to the internet. Could someone help me? Following is my code and printout of the response to AT commands. If I connect to internet the GPS does not display the coordinates. But if I don't connect to internet the GPS displays the coordinates. You are using 2 SoftwareSerial instances and you're losing bytes when you aren't listening to the other port. Also your inetGSM library uses pins 3 for RX with the SIM900 and in your Arduino sketch, pin 3 is also the Arduino TX pin to the GPS module. Therefore, anything sent by the Arduino over pin 3 is received by both modules. Confusion. Use the GPS module with another pair of pins, maybe, 7 for RX and 8 for TX. Connect the GPS TX to 7 and its RX to 8. Refer to this answer for more details. Not the answer you're looking for? 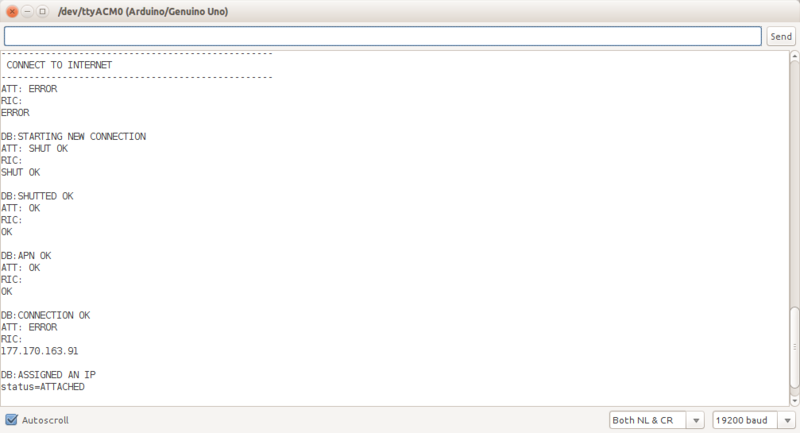 Browse other questions tagged arduino-uno gsm communication gps command-line or ask your own question.